With land in desirable neighborhoods at a premium, townhouses represent a growing share in the real estate market. Townhomes can be an attractive option for many new homeowners–offering something of a “middle ground” between single family homes and condominiums. 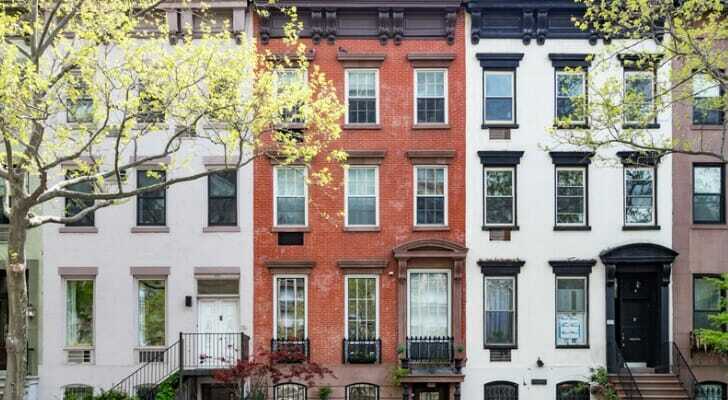 A townhouse can give you what feels like a single family home in prime urban centers. However, there are some potential expenses, as well as limitations, that you should educate yourself about before deciding to buy a townhouse. What Exactly Is a Townhouse? A townhouse typically has a unique front and back entrance, is multiple stories, and has one or two communal walls. Common in urban areas, townhomes vary widely by city and region. Whole blocks of rowhouses (another term for townhomes) are common in densely populated east coast cities, as well as in San Francisco. But townhouses can also be free standing. The exact definition of a townhouse is murky. Some townhomes have homeowners associations (HOAs) much like a condo. An HOA will likely cover some of the maintenance costs for grounds and other shared areas, but in exchange, you give up some of your control. Even if your townhouse only has one shared wall, you will still have to share some control and cost with the owner next door. Many homeowners who wish to live near urban centers choose townhomes as a balance of affordability and privacy. A typical single family home is larger and comes with a yard. In large cities these can be rare and expensive. Urban condominiums are another popular option. Condos are similar to townhouses, but they have some key differences. Condos and townhouses share a few common qualities. They both exist in the amorphous middle ground between renting and owning. With both, you have some ownership over the property, but you’re not responsible for every single aspect of residence, like trash collection for instance. The most notable difference between a townhouse and a condo is that the owner of a condo only owns the interior of her unit. The Homeowners Association (HOA) that owns the complex owns the exterior unit, the front and back lawns if they exist and the communal areas. With a townhouse, you own the interior and the exterior as well as any lawn. Because of this, home insurance rates are typically lower for condo owners, since the own less. In terms of appearance, townhouses are a bit less flexible. Almost all of the time, townhouses are built in rows, and each unit is multiple stories tall. Condos, on the other hand, vary widely in style and layout. They can be ranch-style, cottages or even in a luxury apartment building. HOA fees and maintenance fees are typically higher for condos than townhouses. This is because condo owners often have access to more services and amenities like lawn care, pest control and community spaces like a pool or golf course. This isn’t to say that townhouse owners never have access to these things, but it’s less frequent, and therefore they frequently pay less in fees. Unless you are paying cash to buy a townhouse, you will need to obtain mortgage financing. One of the limitations of these types of properties comes from the difficulty lenders find in accurately classifying and appraising townhomes. Mortgage financing is more expensive and restrictive for condos. Some lenders choose to underwrite all townhomes as if they were condos, leading to higher costs. Some have more nuanced guidelines. If you are buying in an area with a lot of townhomes, it’s a good idea to find a lender with experience in the area. Maybe even speak to the other owners to find out who they used for financing. When lenders underwrite condominiums, they place restrictions on the number of units that can be rented, rather than occupied by the owner. They may underwrite a townhouse complex the same way. So before buying, it would be good to find out how many units are being rented. 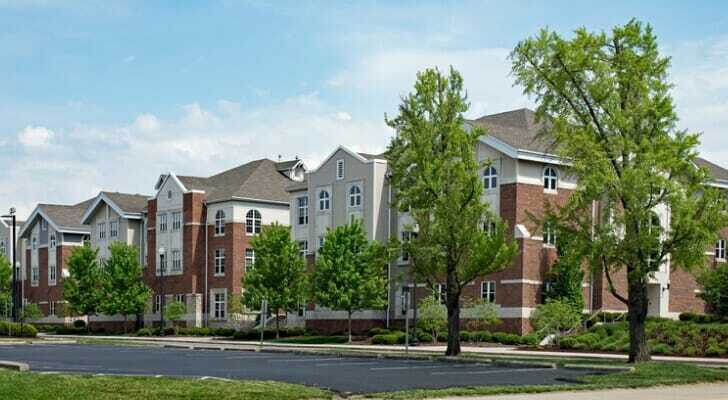 Homeowners’ associations often try to restrict the number of units that can be rented as well, so if that is in your own long-term plans, find out if it will be allowed. Despite the complications and potential costs of financing, townhouses may offer the most attractive home buying option in many urban areas. The multi-level layout and private entry give the feel of a single family home without the expenses that come from owning and maintaining acreage yourself. Despite the shared wall, a townhouse can feel more private than a condo, yet the homeowner’s association gives much of the same convenience and protection. If you are in the market to buy a townhouse, talk to your realtor and mortgage professional to make sure you know all the details and obligations of the property in question. Before buying it’s also smart to consult a financial advisor about how this could impact your budget and whether it’s an investment that aligns with your short-term and long-term goals. It’s not always easy to get a complete view of available mortgage rates. If you know where you want to live, your ideal home price and the size of your down payment, use SmartAsset’s mortgage rates page. We’ve rounded up the best rates for you. SmartAsset’s financial advisor matching tool can help you find a person to work with to meet your needs. First you’ll answer a series of questions about your situation and your goals. Then the program will narrow down your options to up to three financial advisors in your area who suit your needs.